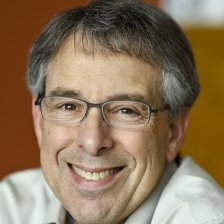 Steve Eglash is Executive Director of Strategic Research Initiatives in the Computer Science Department at Stanford University, where his group develops and manages research programs in data science and artificial intelligence, bridging research and industry. These programs provide opportunities for deep engagement between industry and Stanford’s research in big data, AI, IoT, security, autonomous vehicles, robotics, and machine learning. Prior to joining Stanford, Steve was CEO of a solar energy startup company, consultant for the US Department of Energy, a venture capitalist, a business executive, and a research scientist. Steve received a PhD and MS from Stanford University, and a BS from the University of California at Berkeley, all in Electrical Engineering.